What to do with old DVDs? I have chosen three to part with - so far! 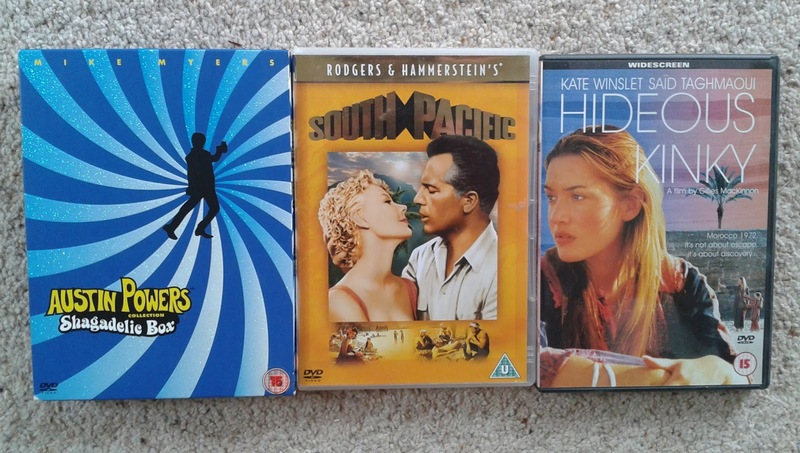 DVDs up for grabs - make me an offer? I had the Austin Powers box set one Christmas many years ago and don't think I've actually watched the films more than once. So it is as good as new. Actually looking at it makes me feel a bit sad. That was a gift given with love and yet I don't feel I really appreciated it by actually watching it. I wonder how many other things I have like that? I would like to sell these and put the money towards my Moroccan adventure! Perhaps I could gift the musical to an old people's home?